Etsushi Toyokawa is a famous actor who has charmed the audience worldwide with attractive looks as well as acting ability & performances. Mainly known for playing lead roles in romantic movies, Etsushi Toyokawa has worked with many other celebrities which have produced blockbusters romance movies. 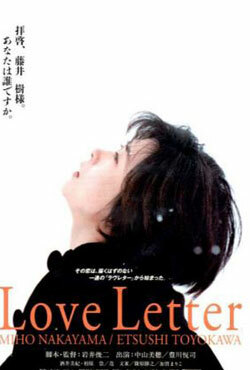 Here is the list of romantic films starring Etsushi Toyokawa. Two women develop a deep platonic relationship when they exchange letters regarding a man they both knew from their high school years. Movies.RomanticBug.com is online database of romantic movies from all around the world. Now explore the world of romance films with some best romantic movies by genres, year, country and languages. © Copyright Content All rights reserved 2016.